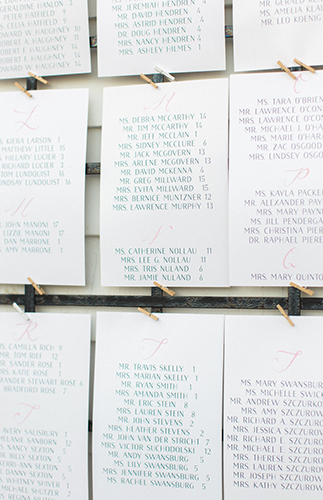 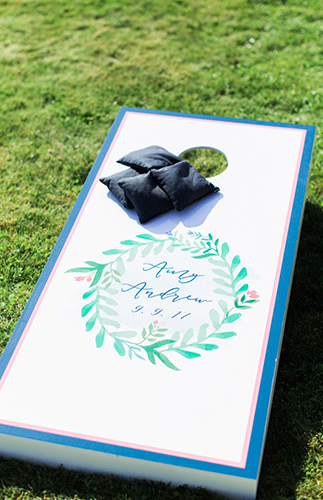 If you look through these backyard wedding photos from Cape Cod long enough, we swear you will start to smell the unmistakable salty sea breeze! 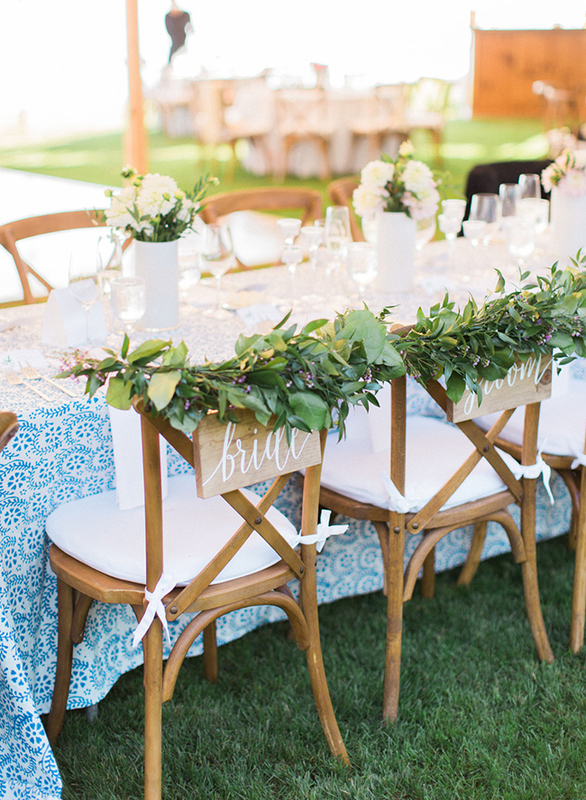 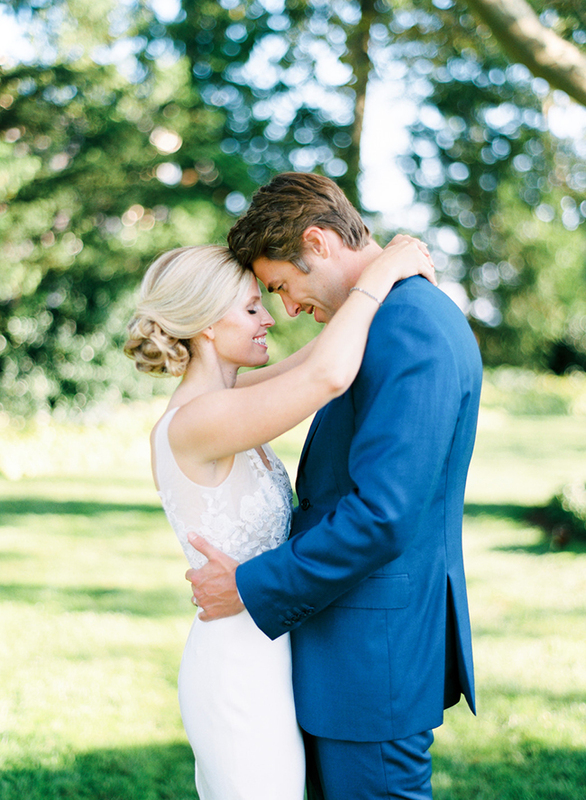 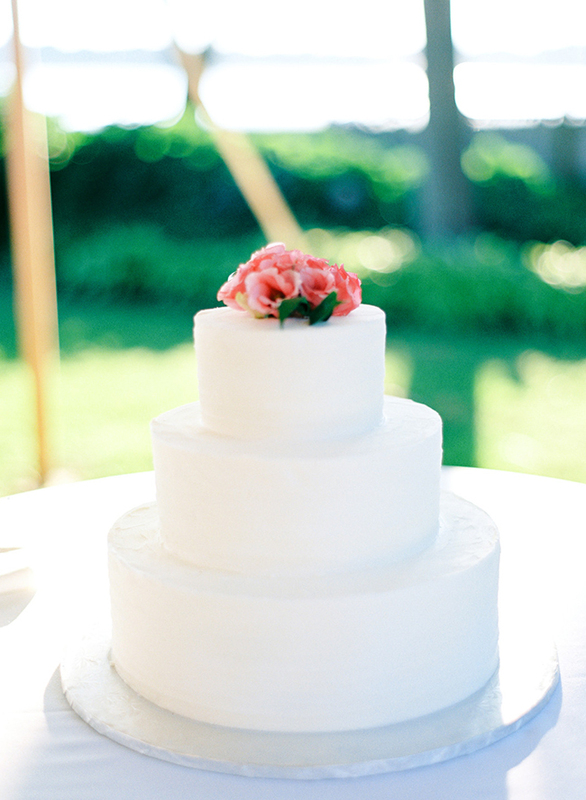 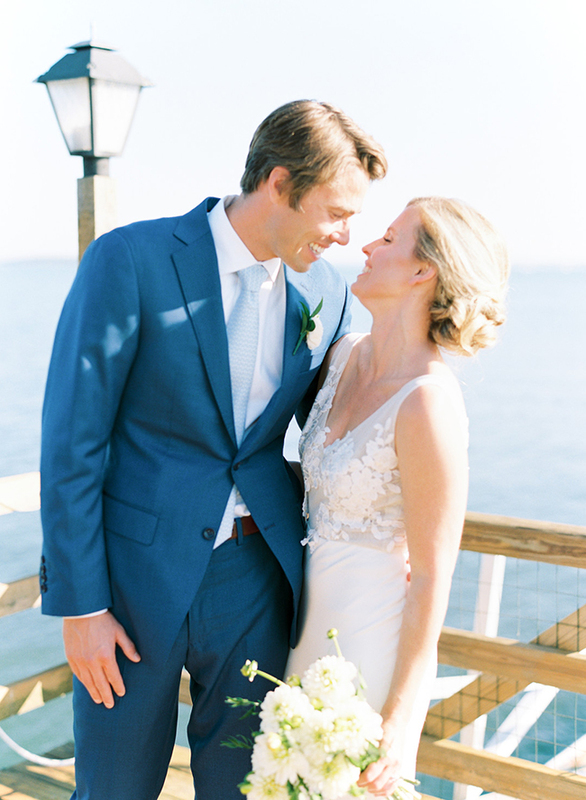 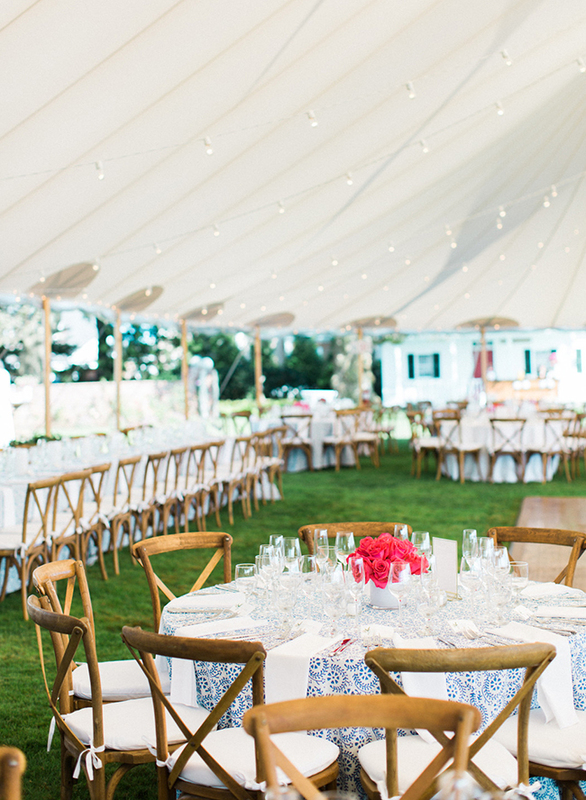 Or maybe, we are just dreaming… Either way, this pink and blue backyard wedding in Cape Cod will have you wishing you could dive right into the scene. 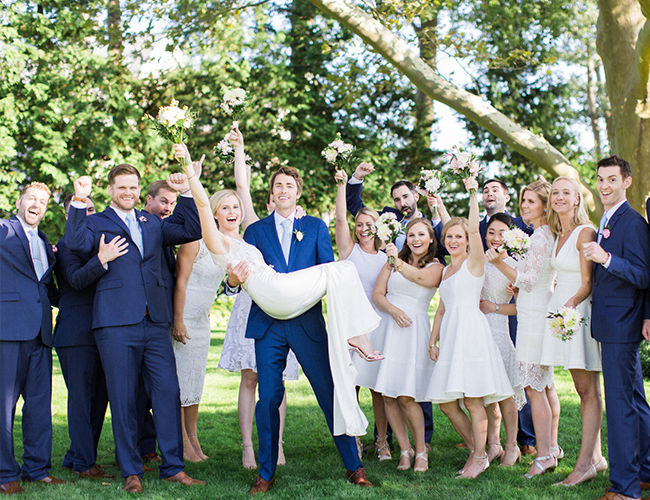 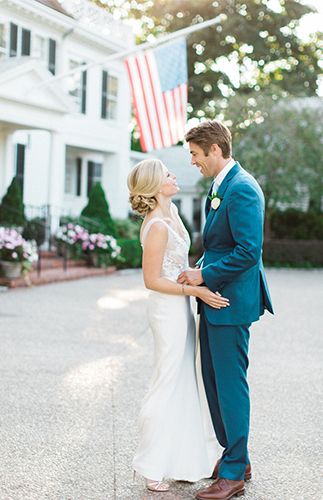 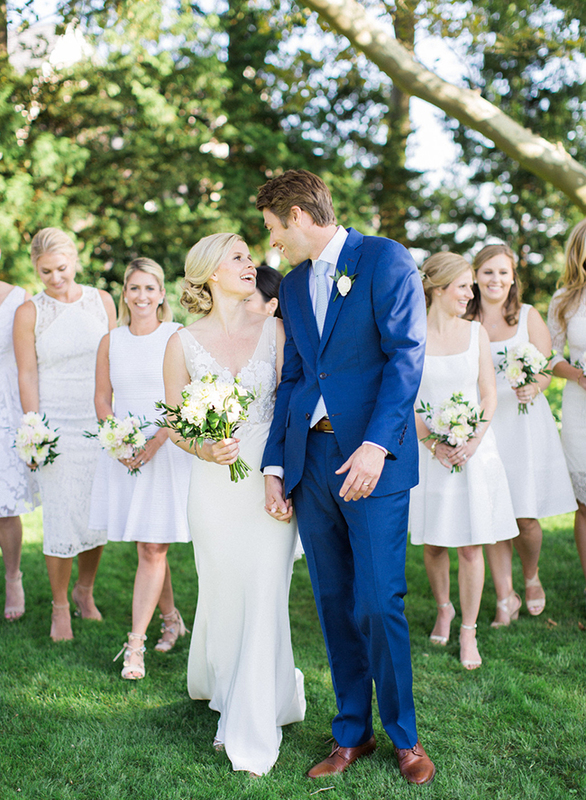 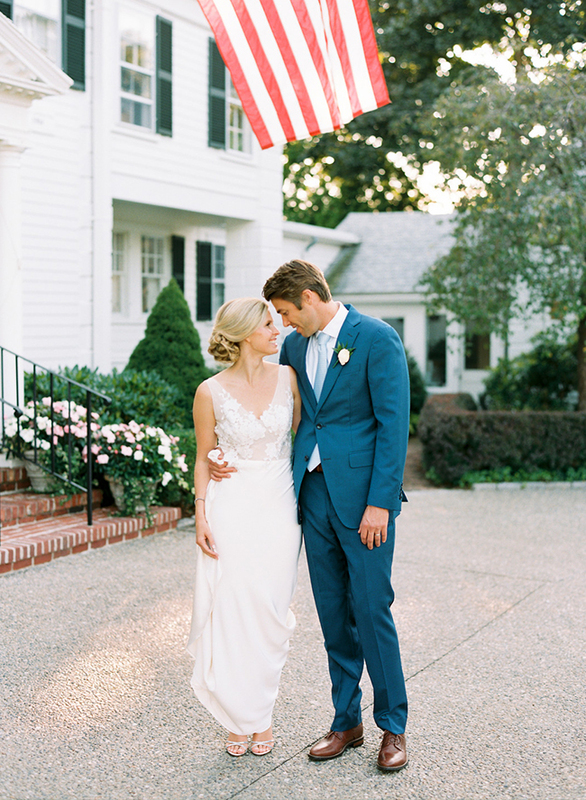 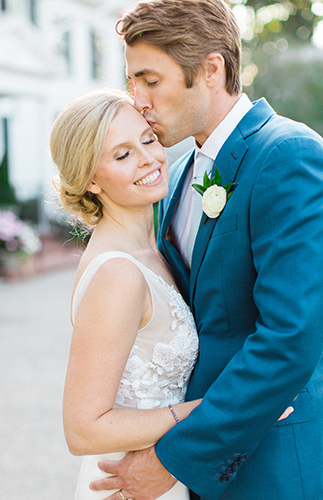 This bride and groom stuck to a classic East coast theme, and we think that they pulled it off perfectly. 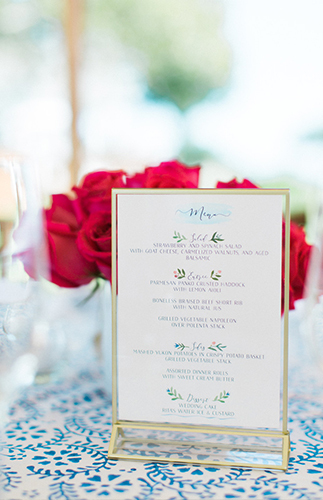 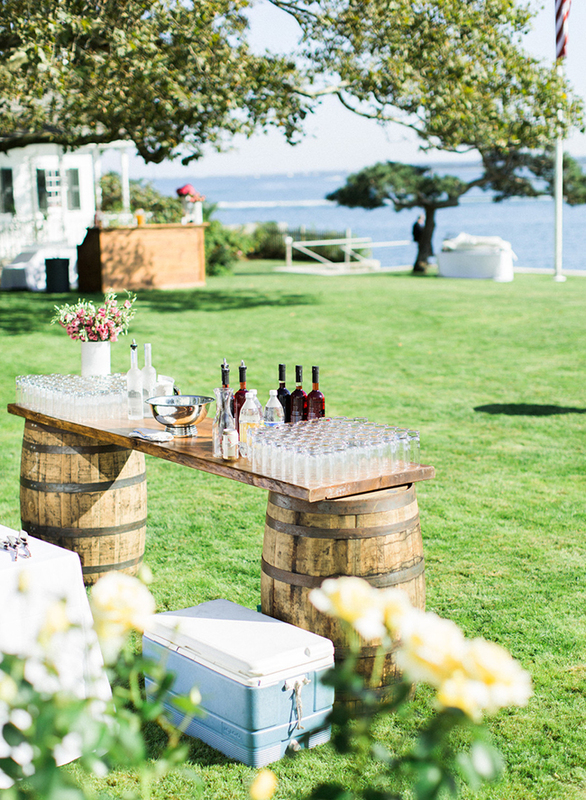 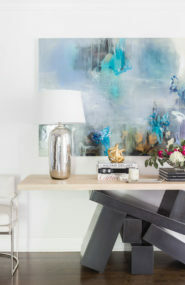 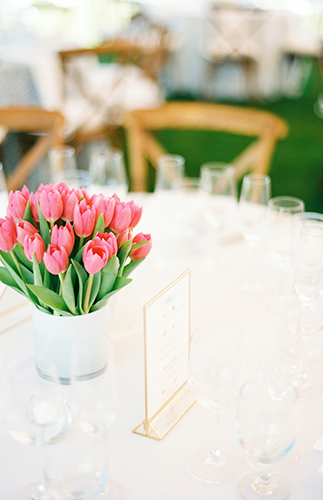 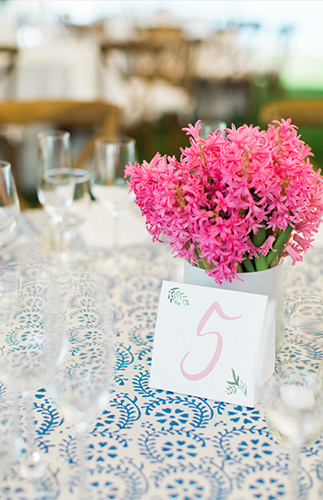 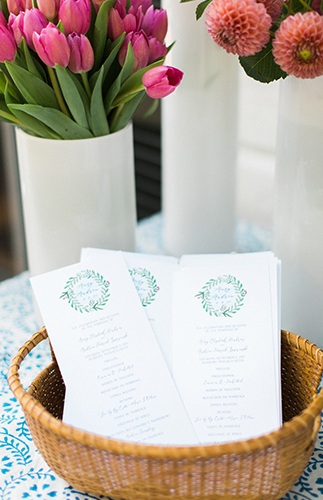 With bright pink flowers and nautical details, like a sailboat dish full of oysters and a table made out of barrels, there is nothing that this perfect day is missing! 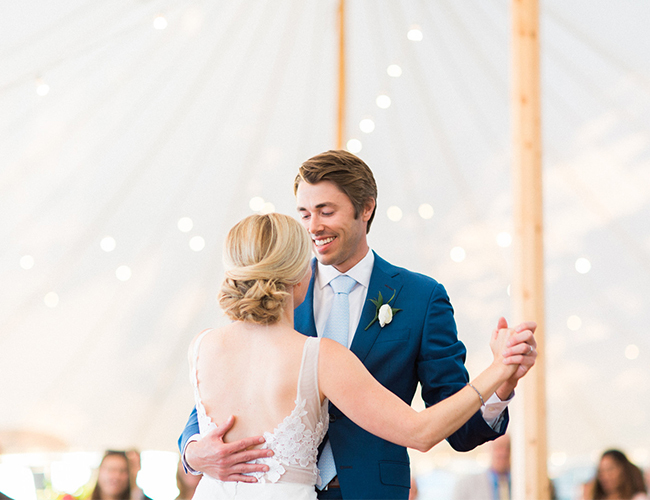 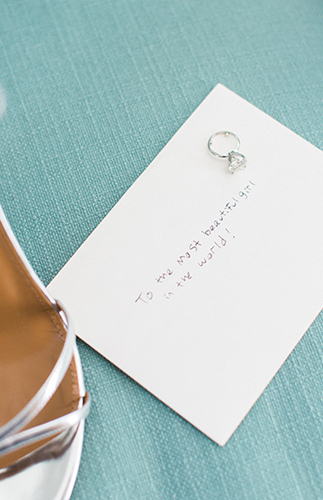 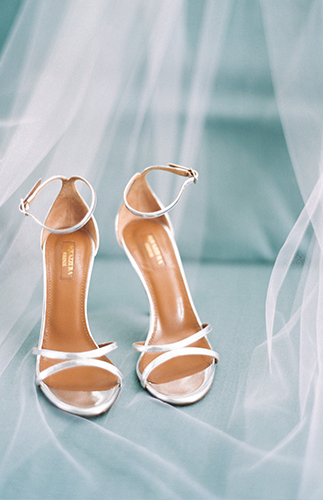 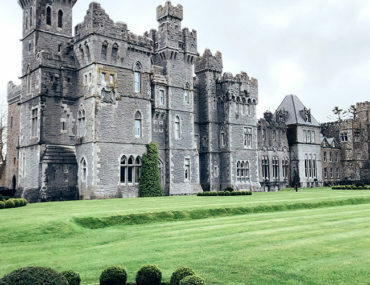 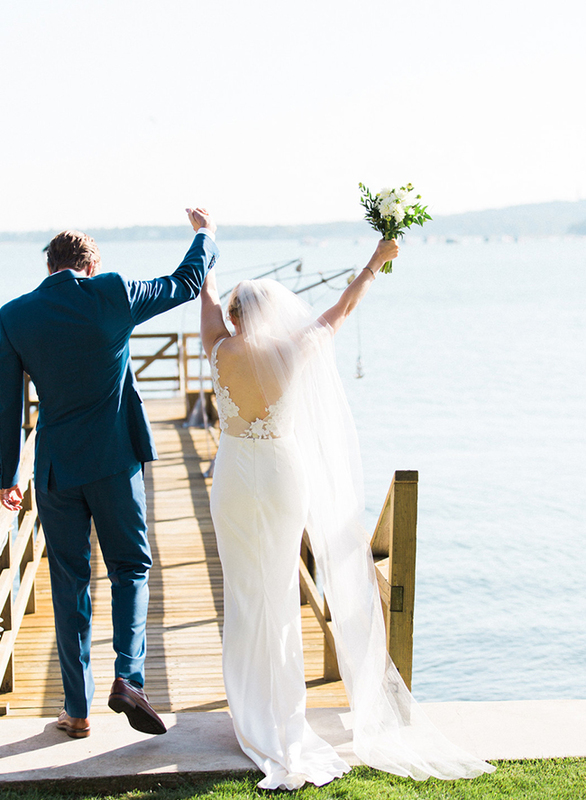 Plus, the most important aspect of the wedding is there – a happy couple in love celebrating the night away! 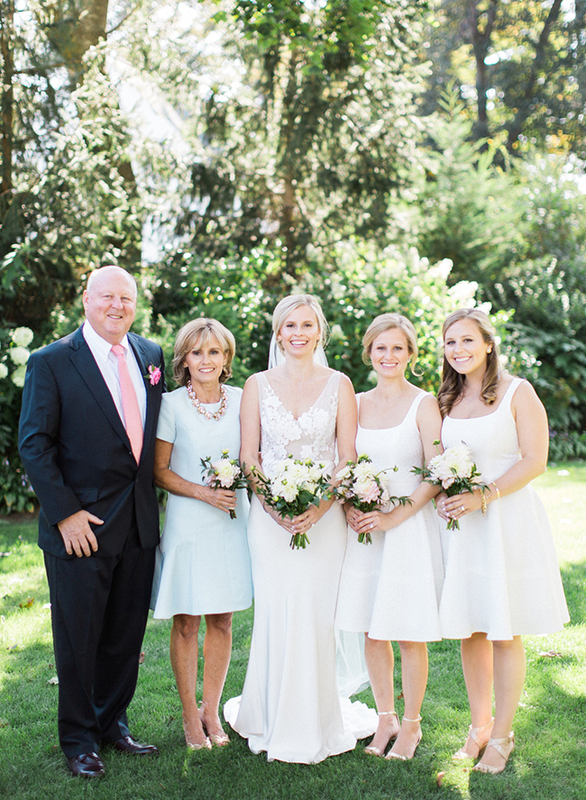 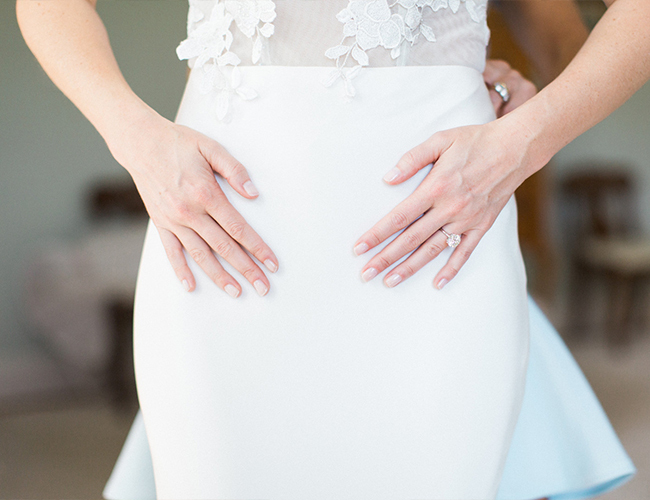 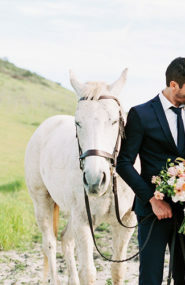 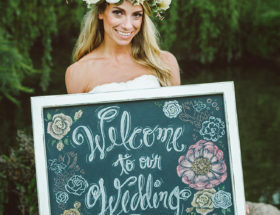 J Harper Photography says, This event absolutely set the bar for backyard weddings! 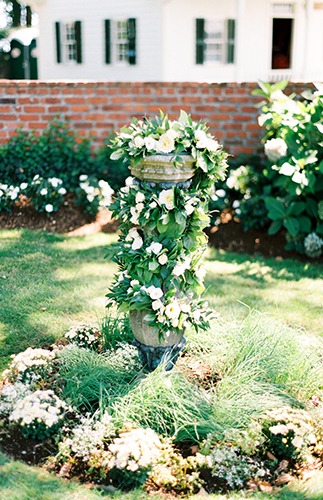 There was the ceremony, which took place in the side garden of the bride’s grandparents’ estate, overlooking the harbor and decorated delicately with a water fountain draped in neutral florals and greens (so unique and fun!). 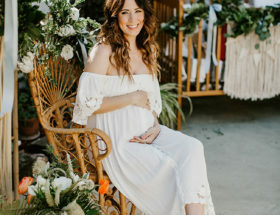 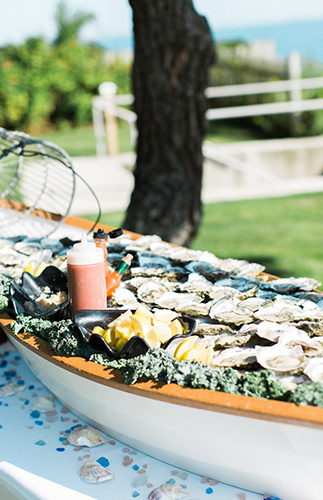 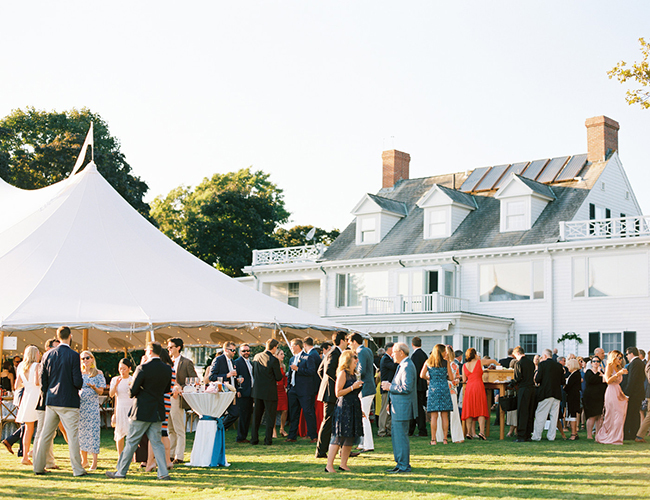 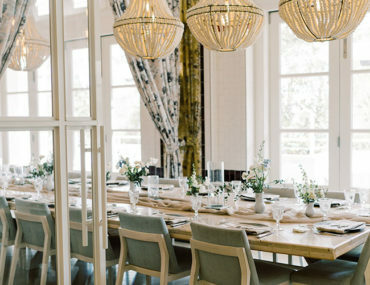 From there, the day took shape with a casual but upscale cocktail hour that included oysters, a vodka bar, and a sailcloth tent overlooking the water. 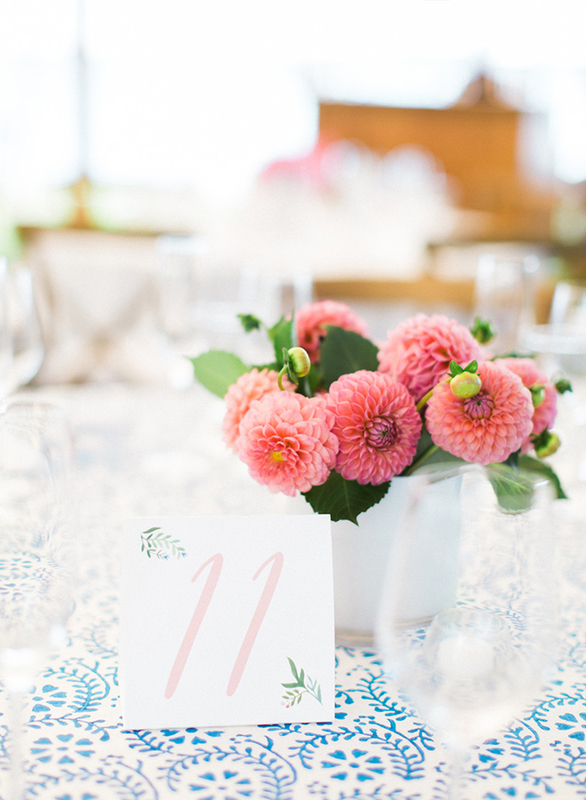 The tables alternated neutral linens with a polished navy pattern, and each were dotted with vases filled with a single kind of flower, each popping bright pink. 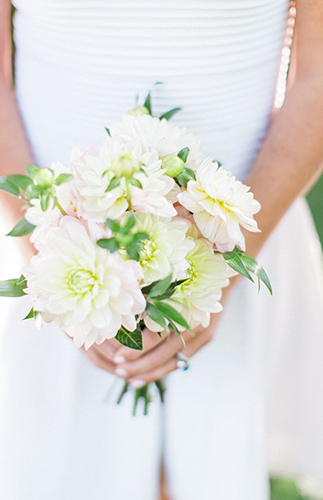 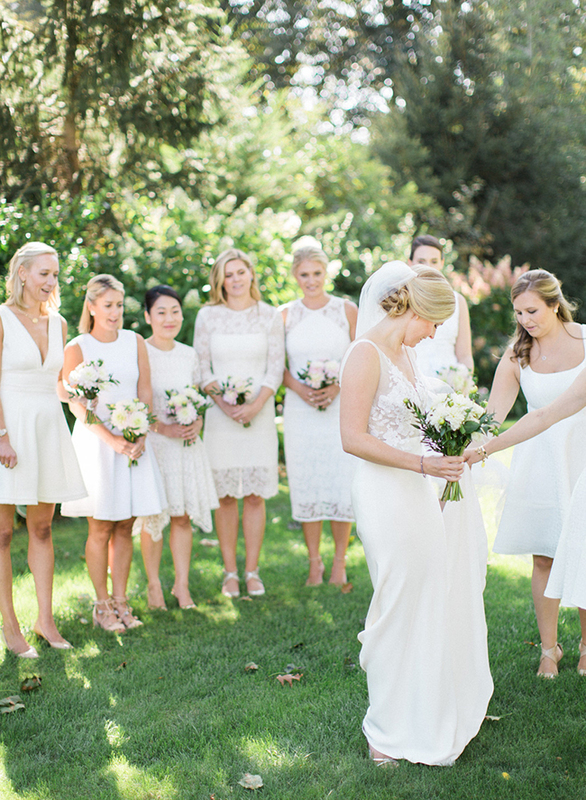 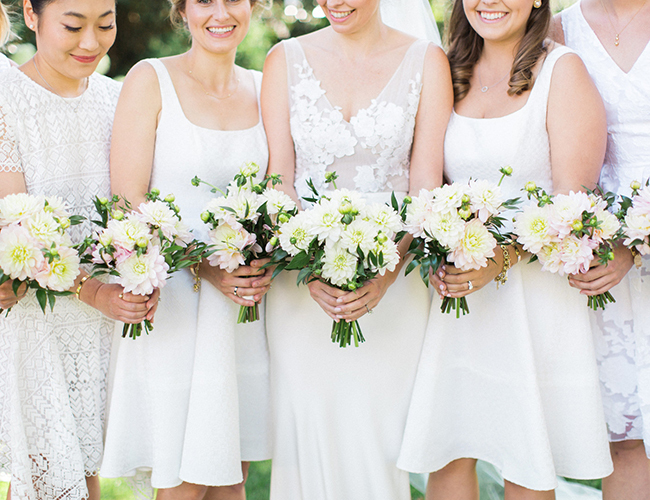 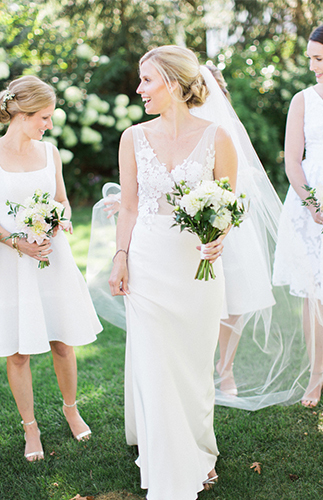 The bridesmaids and bride all donned white with elegant and simple bouquets of dahlias. 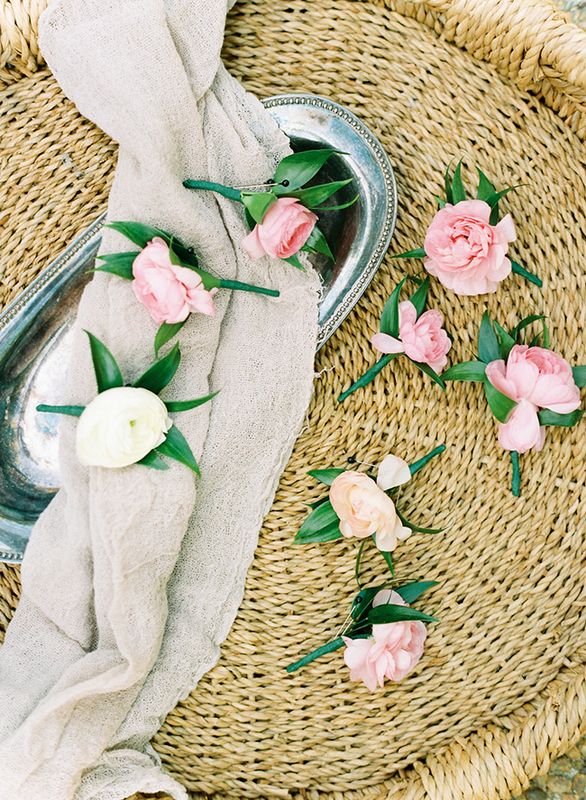 The guys were a perfect compliment in navy with white and pink ranunculus for their boutonnieres. 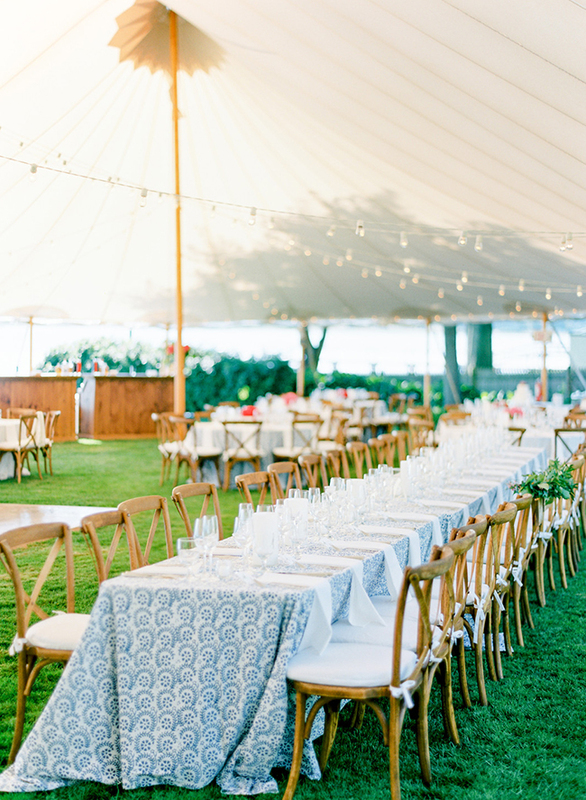 The bistro lights, the sunset, the corn-hole game, the american flag… it all played in perfectly to this super classic, yet modern wedding!